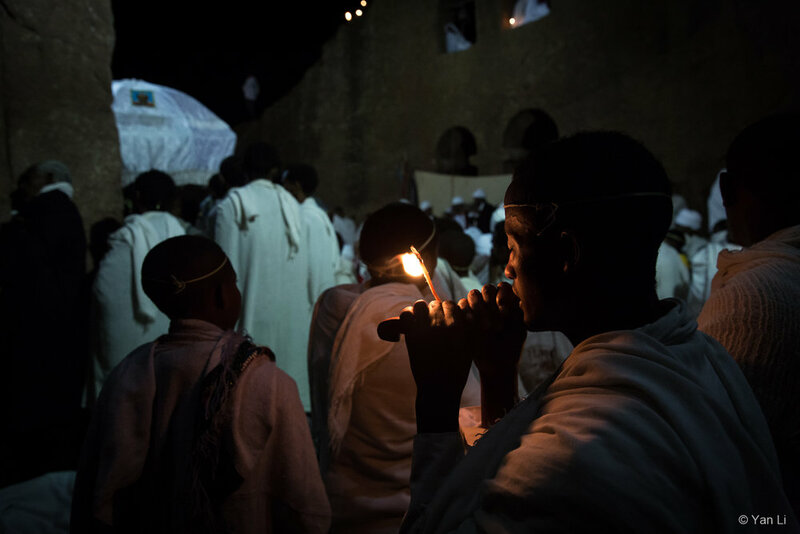 During the festival of Easter, Orthodox priests and pilgrims wear traditional white clothes and carry lit candles in the church to celebrate the Easter Eve. This tradition has been practiced by Ethiopians for hundreds of years and still continues to be carried out to this day. The churches in Lalibela were carved out of the mountain rock on all four sides. Today, these churches still remain to be a religious center, as sacred to the people of Ethiopia as hundreds of years ago when they were carved.